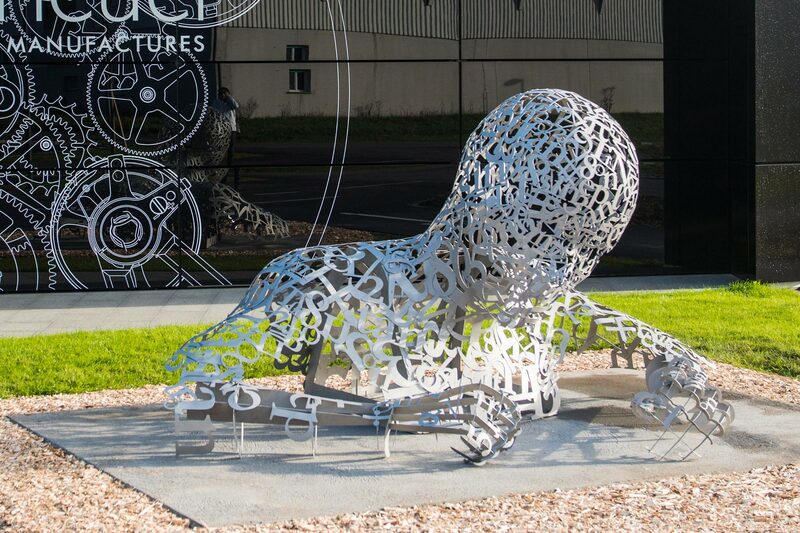 We were asked by the Creative Director of MBB Events (now Propaganda Live) to create a sculpture of a watch maker working to be placed outside the new factory for Tag Heuer. 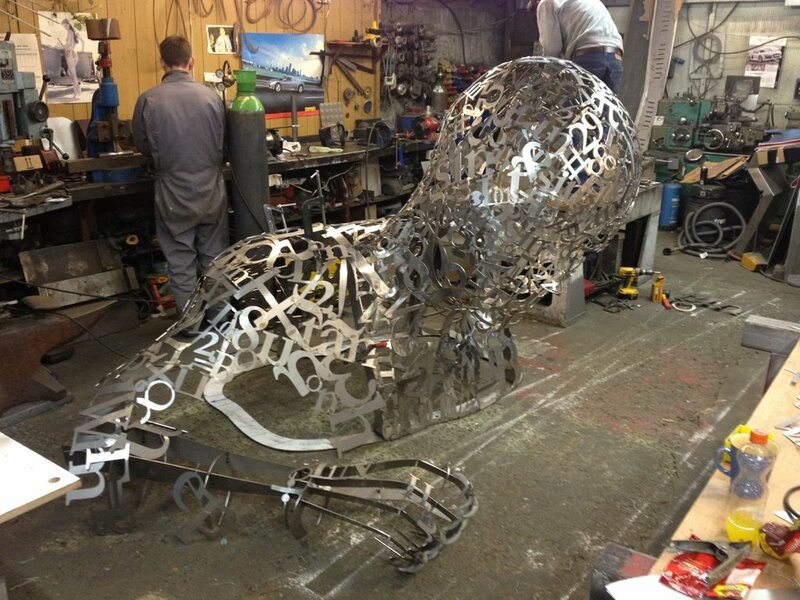 The main concept centred around the watch maker being created from the characters of the formulae which would be used to make the inner cogs of the watch work. The sculpture was manufactured through bending and welding laser cut letters over a timber frame. We’re really proud of the final piece and pleased that it has pride of place outside the new factory building.